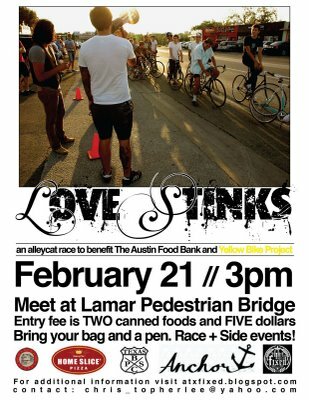 Austin Texas, Race and Benefit. Austin Texas is throwing an event February 21st. Love Stinks. Race: Around 4:00 pm… you know how those things go!